Sean Casey Animal Rescue is a 501(c)(3) Non-Profit, No-Kill animal rescue located in Brooklyn, New York. We have been helping neglected, abused, and homeless animals since 1998. Last year we provided life-saving veterinary care, rehabilition and follow-up care to over 500 injured animals. The majority of these animals were in critical condition. We strive to help as many animals as we can but the financial burden is especially heavy due to the intense medical intervention, rehabilitation and follow-up care needed for our critical care patients. When we reach our financial boundaries we are unable to accept new patients, which leaves those animals in need of life-saving, critical care with nowhere to go. We need your help to continue saving the animals that need it the most. With your generous donations, hundreds of critically injured animals who would otherwise not be given a chance could be saved and given a second chance at life. Every donation helps us give animals like Sabrina a second chance..
Sabrina was found in a box on a street corner in Brooklyn, severely emaciated, dehydrated, and weak. She arrived at SCAR weighing only 4.2 lbs. Her blood work showed she was anemic and her kidney values were elevated. Thanks to our Critical Care Program Sabrina was able to get the medical care she needed. After a month of treatment and recovery Sabrina found her forever home. Weighing in at 6.5 lbs, she is now officially a SCAR graduate! Please consider donating to help us provide the life-saving care our Critical Care patients need to have a second chance. 100% of your donation will go towards veterinary care for patients in this program. We adopted our baby Guinness from Sean Casey. We are grateful that there is a place where animals can find love and care. 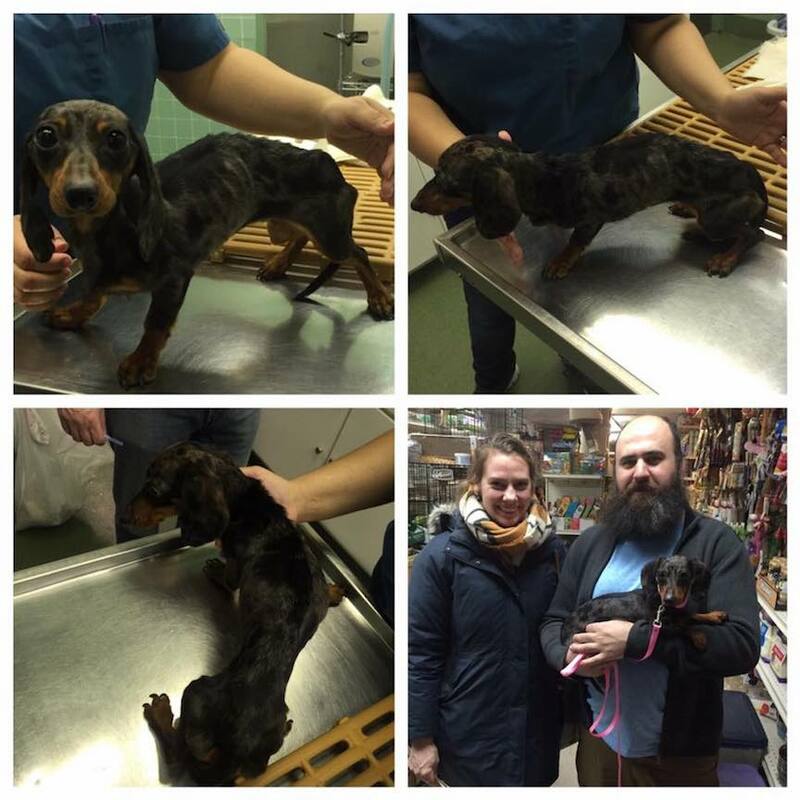 Critical Care donation for Angelo :) Sean Casey Animal Rescue, thank you being so amazing! We’re donating to Sean Casey as a birthday tribute to our daughter. She adopted a wonderful dog via This animal shelter. Thank you for taking Killer today it was really hard for me to leave him there today, but you guys do great work and he deserves the best care. In memory of dear Murray Culp. He lived every day with enthusiasm, tail wags, and such love for his favorite humans and dogs. We miss him already. Thank you for the amazing work of all the volunteers at SCAR. We got our cat from you 7 years ago and couldn’t be happier. Wonderful people working for a great cause! Happy birthday to the kindest man in the world! We're donating on behalf of Dr. Suzy Ryan at Alison's Animal Hospital in immense gratitude for taking care of our rescue dog Alfie. Thank you!